Kolkata: In 2004, Sanjeevani Projects Pvt. Ltd picked up a property on the eastern fringe of Kolkata to build a luxurious residential complex of 160 bungalows. A sales pitch for the project on its website reads: “Vast water bodies line both sides of the road to the complex, soothing your city-weary nerves." But it is this location, surrounded by water bodies that has environmentalists up in arms. Sanjeeva Town, as the project is called, is coming up in the middle of the East Kolkata Wetland, which is a protected site. But Sanjeeva Town is not the only project that has trespassed into this sensitive ecology. 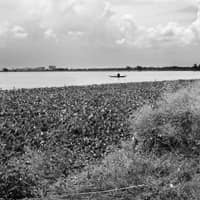 There is at least one other major residential project and several other commercial establishments, including an engineering college, that have infringed on the 12,500ha that make up the East Kolkata Wetland. The West Bengal government set up an East Kolkata Wetland Management Authority in 2005 and passed legislation for the conservation of the site. But neither environmentalists nor the Union ministry of environment and forests are impressed. East Kolkata Wetland is a bowl on the eastern end of the city, into which the metropolis empties 600 million litres of sewage and waste water and 2,500 tonnes of garbage each day. Feeding on this waste, the wetland, consisting largely of water bodies and some agricultural land, produces 10,500 tonnes of fish, 15,000 tonnes of paddy and nearly 55,000 tonnes of vegetables a year. This unique natural system of recycling the city’s waste provides direct employment to about 50,000 people and indirect livelihood to a similar number of people. The area has its exclusive biodiversity with 12 varieties of aquatic plant life and 104 species of land-based flora. But the expanding city has been eating into this system and the state government has been caught not only napping on these transgressions, but also participating in them. In fact, the wetland authority recognizes more than 13,000ha of the land as urban and rural settlements. Moreover, it has had a singular lack of success in evicting trespassers. In 2005, the state’s land and land reforms department took Sanjeevani Projects to court. “After the Supreme Court allowed an out-of-court settlement on the issue, the promoters (of Sanjeeva Town) offered to convert an equivalent amount of land into wetland," says Nitai Kundu, chief technical officer of the wetland authority. But he admits that efforts in this direction have not been successful. “We have already created a water body of equivalent size," says Raj Modi, managing director of Sanjeevani Projects, which he says is yet to be conveyed to the authority. “Just digging a pond cannot turn the property into a wetland of the East Kolkata variety with its complex ecological system," counters Dhrubajyoti Ghosh, the man who identified the East Kolkata Wetland, gave it its name and got it listed as a protected site in 2002, when he was the chief environment officer with the state pollution control board. But rather than redress the issue, the state government has drawn up plans that are bound to further disturb the character of the wetland. It is now talking of relocating the 45 acre Alipore Zoo to a part of the wetland on the southern fringe of the city. The kind of constructions that will be required to house large animals is not conducive to the ecological balance of the wetland, says city-based environment activist Subhas Datta. There is also a proposal to build a road from Barasat in the north-east to Raichak in the south-west that will cut through the wetland, says an environmentalist who has seen the route planned, but does not want to be identified to avoid controversy. Last year, the Union ministry rejected a Rs500 crore proposal from the state government for the conservation of the East Kolkata Wetland. “We were looking for a proposal that would have a long-term effect and not something ad hoc," says Siddharth Kaul, director at the ministry, who found the proposal vague. The government was proposing to set up a wetland interpretation centre, a bird sanctuary, a watch tower, a wetlands museum, a botanical garden and other eco-tourism schemes in the area. This is hardly what is required to preserve the character of the wetland, says Datta. The biggest problem of the wetland is the heavy silting in the water bodies. “We wanted to deepen the fish ponds, cut two new canals, provide a minimum infrastructure for marketing the produce from the area, rural electrification, offer basic sanitation and take on some capacity building initiative for people settled in the region," says Kundu. “Why would the government give funds for deepening ponds that are largely owned by the private players?" asks Ghosh. Only three of the 300 fish-breeding water bodies in the area are owned by the state’s fisheries department. There might be hope yet. The Union ministry of environment and forests, which finds no representation on the state’s wetland authority (unlike in other parts of the country), has granted Rs1 crore to West Bengal for desilting some of the critical canals irrigating the wetland. But with realty prices soaring around the wetland, it increasingly faces the threat of being invaded. Environmental activists fear that this and the government’s relative apathy may?push?the?East Kolkata Wetland out of the protected list.